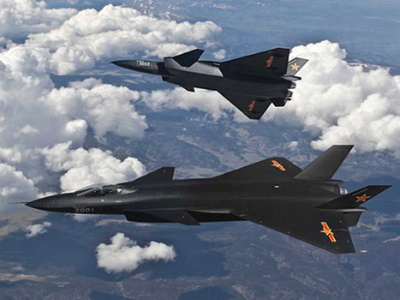 Two of China's top-of-the-line stealth fighter jets screamed across an air exhibition, Airshow China, on Tuesday as the world got the first glimpse of China’s newest military hardware. The J-20 fighter is Beijing's answer to the US F-22 stealth fighter and the F-35 that will be soon deployed in the Pacific by the United States and Japan. 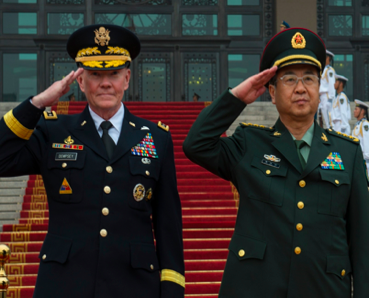 China is fast filling the military gap with the US. What has China showcased at the Zhuhai air show? China has showcased its long-awaited J-20 stealth fighter in public for the first time at the Zhuhai air show. The jets had been rarely sighted till now. Two of the radar-evading jets did a 60-second flypast at the show in Guangdong province - the country's biggest meeting of plane makers and buyers. The J-20, a long-range, radar-avoiding stealth combat aircraft, first flew in 2011 but had not been shown to the public until Tuesday. China often uses the biennial exhibition to show off its newest military hardware. In 2014, it showed off its J-31 fighter at the exhibition, also known as Airshow China. Analysts say it is too early to say to what extent the new Chinese fighter can match the radar-evading properties of the Lockheed Martin F-22 Raptor air-to-air combat jet – developed for the US Air Force and the J-20’s closest lookalike – or the latest strike jet in the US arsenal, Lockheed’s F-35. Unofficial shots of a J-20 prototype fuelled discussion about the region’s power balance when first glimpsed by planespotters (yes, this hobby exists) in 2010. 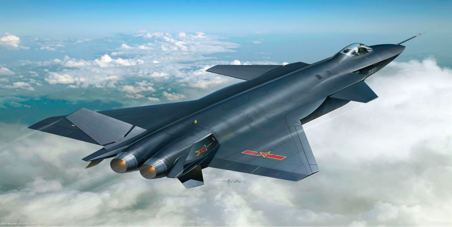 Why is the J-20 a big leap forward for China? Swift, stealthy, and armed with long-range missiles, the new J-20 represent a leap forward in China's ability to project power in Asia and compete in capabilities with the United States. Beijing is seeking to modernise and upgrade its military both to protect its borders and project power into regions such as the South China Sea, a resource-rich waterway where it has disputes with several neighbours. The aircraft will enhance the overall combat capability of the Chinese Air Force, which would help the army's mission of maintaining the national sovereignty, security and territorial integrity. China is aggressively moving to develop its domestic weapons industry, from drones and anti-aircraft systems to homegrown jet engines. When does China appear to be closing the military gap with the US? US Anti-Surface Warfare Capabilities Versus Chinese Naval Ships: The US does a far better job preventing a Chinese amphibious landing on Taiwan. Thanks largely to submarines, air power, and surface forces, the report indicates that 40 percent of Chinese amphibious shipping would be destroyed during a seven-day campaign, “losses that would likely wreck havoc on the organizational integrity of a landing force.” However, China is improving its anti-submarine warfare helicopters and ships, and is continuing to expand its fleet of amphibious vessels. US Counterspace Capabilities vs. Chinese Space Systems: In response to China’s increased dependence on satellites and worrying signs it was developing counterspace weapons, in 2002 the US began funding selective counterspace capabilities. This includes the creation in 2004 of the Counter Communication System to jam enemy communications satellites. China has tested three kinetic anti-satellite missile tests since 2007 at low earth orbits (LEO). China also operates laser-ranging stations that could dazzle US satellites or track their orbits to facilitate other forms of attack. US and Chinese Cyberwarfare Capabilities: China’s cyber units have been in operation since the late 1990s and are closely tied or operated by the Chinese military. Though the US has suffered from serious attacks, the report indicates the US “might not fare as poorly in the cyber domain as many assume” during wartime. The US Cyber Command works closely with the US National Security Agency and can draw heavily on the latter’s sophisticated toolkit. Despite the US advantage during wartime, both will “nevertheless face significant surprises” and US logistical efforts are particularly vulnerable, since they rely on unclassified networks on the Internet. US and Chinese Strategic Nuclear Stability: China has improved its nuclear forces steadily since 1996 with the introduction of new intercontinental ballistic missiles, such as the DF-31/31A and an upgraded MIRV-capable DF-5. The navy has also deployed their first operational JL-2 submarine-launched ballistic missile aboard its Jin-class submarines. Despite these new capabilities China does not have the capability of denying the US a second strike capability. The U.S. has a numerical warhead advantage of 13 to one. Note: In the military science of ballistics, circular error probability (CEP) is a measure of a weapon system's precision. It is defined as the radius of a circle, centered about the mean, whose boundary is expected to include the landing points of 50% of the rounds. That is, if a given bomb design has a CEP of 200 metres, when 100 are dropped on the same aim point, 50 will fall within a 200 m circle around that point. Where is India trying to catch up? The Advanced Medium Combat Aircraft (AMCA) is India’s fifth-generation stealth fighter program with Russia that evolved out of the Medium Combat Aircraft (MCA) program that was initiated to fulfill several requirements for a common fighter to replace different types of existing fighter aircraft which included Dassault Mirage 2000, Sepecat Jaguars, Mikoyan MiG-23 and Mikoyan MiG-27. Russia expects to reach an agreement with India for the joint development of the Fifth Generation Fighter Aircraft (FGFA) for the Indian Air Force by December. The aircraft, known as the Perspective Multi-role Fighter (PMF) in India, will be based on Russia's PAK-FA T-50 jet fighter but will boast a radar and avionics suite that could be superior to the prototype. It is a multirole combat aircraft designed for the air superiority, ground attack, bombing, intercepting, strike and other types of roles. It combines supercruise, stealth, advanced radar, supermaneuverability, and advanced avionics to overcome and suppress previous generation fighter aircraft along with many ground and maritime defences. 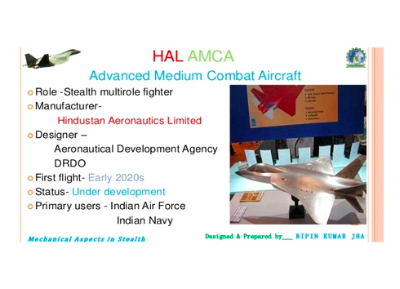 The AMCA would be the third supersonic jet of Indian origin after the HAL Marut and HAL Tejas. 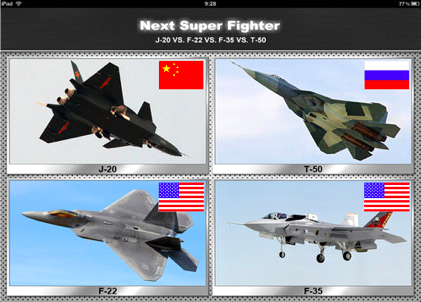 Who will the J-20 compete against? The fifth-generation fighter jet, which is equipped with air-to-air missiles, resembles the F-22 Raptor in terms of appearances. 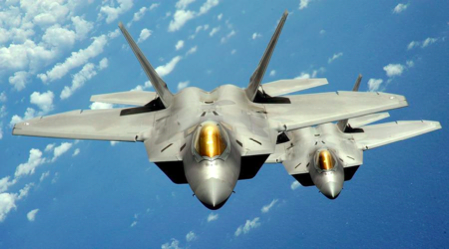 The F-22 Raptor is currently in service with the US military. The result of the USAF's Advanced Tactical Fighter program, the aircraft was designed primarily as an air superiority fighter, but also has ground attack, electronic warfare, and signal intelligence capabilities. The prime contractor, Lockheed Martin, built most of the F-22's airframe and weapons systems and did its final assembly, while Boeing provided the wings, aft fuselage, avionics integration, and training systems. The Raptor's combination of stealth, aerodynamic performance, and situational awareness gives the aircraft unprecedented air combat capabilities. It was designed to be highly difficult to detect and track by radar. Measures to reduce radar cross-section include airframe shaping such as alignment of edges, fixed-geometry serpentine inlets that prevent line-of-sight of the engine faces from any exterior view, use of radar-absorbent material (RAM), and attention to detail such as hinges and pilot helmets that could provide a radar return. The aircraft was originally given the unofficial name "Lightning II", after the World War II Lockheed P-38 Lightning fighter, which persisted until the mid-1990s when the USAF officially named the aircraft "Raptor". F-22 fighter units have been frequently deployed to US’ Kadena Air Base in Okinawa, Japan. How does a stealth fighter 'hide'? While no aircraft is totally invisible to radar, stealth aircraft make it more difficult for conventional radar to detect or track the aircraft effectively, increasing the odds of an aircraft successfully avoiding detection by enemy radar and/or avoiding being successfully targeted by radar guided weapons. The airplane can be covered in materials that absorb radar signals. Most conventional aircraft have a rounded shape. This shape makes them aerodynamic, but it also creates a very efficient radar reflector. 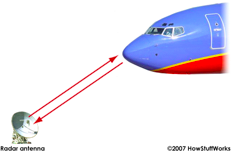 The round shape means that no matter where the radar signal hits the plane, some of the signal gets reflected back. A stealth aircraft, on the other hand, is made up of completely flat surfaces and very sharp edges. 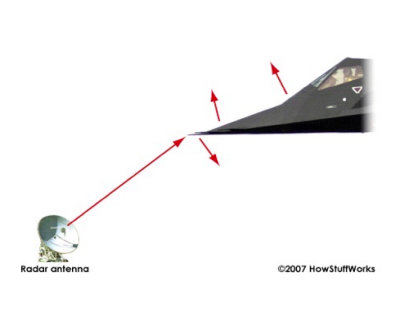 When a radar signal hits a stealth plane, the signal reflects away at an angle. In addition, surfaces on a stealth aircraft can be treated so they absorb radar energy as well. The overall result is that a stealth aircraft like an F-22 Raptor can have the radar signature of a small bird rather than an airplane. Stealth is the combination of passive low observable (LO) features and active emitters such as Low Probability of Intercept Radars, radios and laser designators. These are usually combined with active measures such as carefully planning all mission maneuvers in order to minimize the aircraft's radar cross section, since common actions such as hard turns or opening bomb bay doors can more than double an otherwise stealthy aircraft's radar return. This design philosophy also takes into account the heat, sound, and other emissions of the aircraft as these can also be used to locate it. The greatest vulnerability to detection is when the plane banks -- there will often be a moment when one of the panels of the plane will perfectly reflect a burst of radar energy back to the antenna.